Almost every soil type is found in Arizona, with the exception of tropical soils. Arizona soils have a lot of clay and are very alkaline as a result. Beneath the surface soil there is often a very hard-to-penetrate layer called caliche. Another common soil type is called Casa Grande and probably covers several million acres of central and southwestern Arizona. These soils can be low in nutrients and difficult to work with, requiring the addition of organic matter to assist the soil in holding water and nutrients. Arizona's soil has a high clay content. According to the Arizona Cooperative Extension, most soil profiles have two or more distinct layers, also called horizons. These layers include the surface soil, the subsurface and the subsoil. These different layers differ in color, texture, consistency and structure as well as chemical characteristics and composition. The surface and subsurface are the coarsest layers, while subsoil is finer and firmer with a much lower organic matter content than the surface and subsurface. Only about 1 percent of Arizona's soil content is organic matter. Organic matter is important because it helps the soil hold water and nutrients for the plants. Organic matter is very slow to accumulate under arid conditions, but content is higher in soils that have not been cultivated for long periods of time. The surface layer is most fertile and plant roots obtain most of their nutrients and water from that layer. Arizona soils contain high levels of clay. Clay soils are very alkaline and many plants grown in alkaline soils suffer from iron deficiency, resulting in yellowed foliage. Even if iron is present in the soil—as it is in Arizona—the alkalinity of the soil prevents the plant from absorbing it. Clay soils also contract and expand, which is a problem for plants and for buildings. 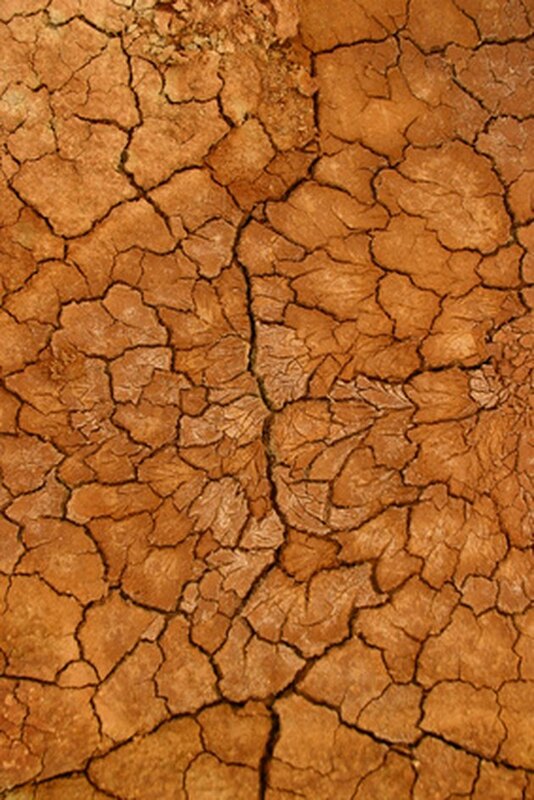 Clay has the potential to expand greatly in volume when wet and to collapse drastically when the weather is once again hot and dry. Caliche occurs in the subsoil, the layer beneath the surface soil. Caliche is common throughout Arizona. It is a layer of soil that can be up to 6 feet deep and the soil particles are essentially cemented together with calcium carbonate. Hand-digging a hole in caliche soil is next to impossible and any serious digging requires a jackhammer. Roots cannot penetrate caliche, restricting normal root development, and water cannot move through it. Casa Grande is considered the main soil type of Arizona. The University of Illinois Extension reports that the soil type was first identified in 1936 and is named after the city of the same name and the Casa Grande Monument. Casa Grande has high clay content and a lot of salt. In order to garden in Casa Grande soil, it is necessary to irrigate the soil before planting over a few weeks to wash out the salt and keep plants from getting salt burned.